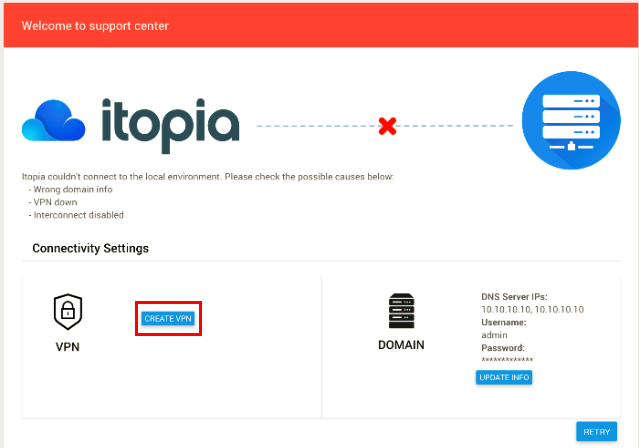 Follow these steps to create VPN before extending your AD to cloud. There can also be a case when you already tried to extend your AD to cloud and the connection to your local AD failed. In such case we recommend checking the domain credentials you provided and the domain IP. If both are correct and you don't have interconnect, create a VPN to facilitate the connection between the cloud and your local AD. Note: if you need to setup multiple sites (regions) for redundancy or any other reason, then please be aware that when creating the VPN you will need to set up the VPN using IKEv2. This is because IKEv1 does not support multiple IP ranges per traffic selector. You will get a screen to insert Remote peer IP address which would be your client’s public IP. You can only use static IPs. IKE version: IKEv2 is preferred, but IKEv1 is supported if that is all the peer gateway can manage. You can learn more here. Shared secret: a unique key will be generated and should be copied for your records since you will not be able to retrieve it later. Once saved, it can take from 5 to 10 minutes for the VPN tunnel to get created. In the meantime the VPN will appear as "Pending update" in itopia CAS. The process does not open up any firewall rules between your on-prem network and the Google Cloud network. 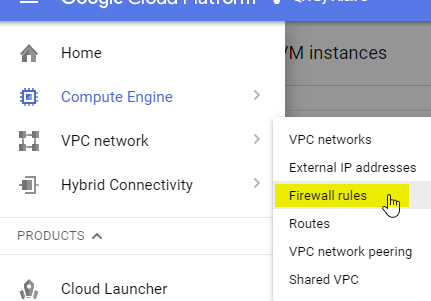 To manage firewall rules, login to GCP. 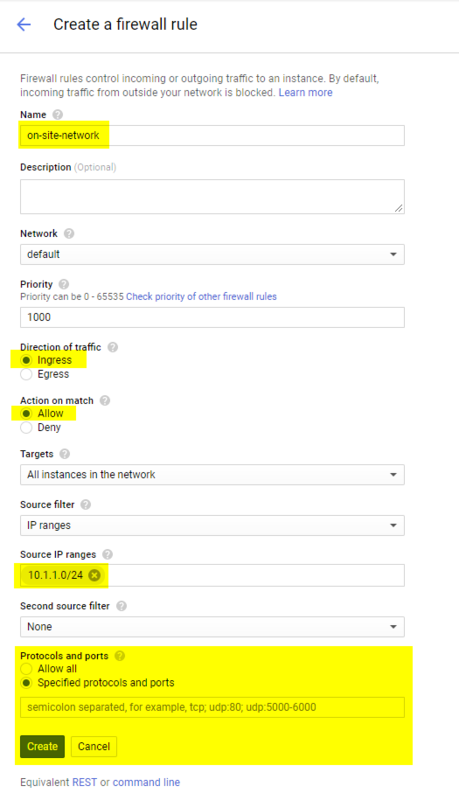 In order to allow traffic from your on-site network you will need to log into the Google console and create 2 firewall rules.